Here is what we know so far: Russia launched a massive social media campaign to instill havoc, according to Politico, which forced Special Counsel Robert Mueller to issue an indictment secured in February, charging 13 Russian nationals and three entities with conducting an illegal “information warfare” campaign to disrupt the 2016 presidential election and assist President Trump’s campaign. Last week’s indictments allege that 12 Russian intelligence officers hacked the Democratic National Committee, the Democratic Congressional Campaign Committee, and other liberal-affiliated political groups, as well as aides to Hillary Clinton’s presidential campaign. The indictment also mentioned that the hackers accessed the DNC’s computers and transferred several gigabytes of data to a server they leased in the state of Illinois. In addition, the DNC’s Microsoft-hosted email service was tampered with. 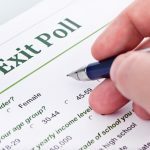 Exit polls are surveys of a small percentage of voters taken after they leave their voting place. Pollsters use this data to project how all voters, or segments of voters, side on a particular race or ballot measure. Exit polls from the 2016 presidential election showed Hillary Clinton winning four crucial swing states that, when the final vote tallies came in, were somehow won by Donald Trump. As of recently, sources reveal that President Trump has known about the Russian interference in the election since January 6, 2017. He was given a highly classified briefing on the hacking with detailed specifics. This is confirmed by about a dozen people who were either in the room or were informed afterward. Furthermore, documents obtained by cybersecurity lawyer Bradley Moss revealed that Russia “actually got inside the voting systems of seven states,” including four of the five largest states in terms of electoral votes—California, Texas, Florida, and Illinois. 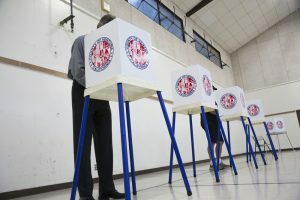 Despite the evidence, those states have actually denied that votes were changed in the 2016 elections, arguing that their systems “have never breached.” As of a result, many states’ election offices have failed to fix their most glaring security weaknesses and few states are planning steps that would improve their safeguards before midterms in November. That’s even after they receive their shares of the $380 million in election security funding that Congress approved back in March of 2018. It is highly urgent that these states consider a possibility of a hacked election—whether by Russia or by another power—and take strong measures to instill safety within our voting machines. Our country and our democracy depend on it. Will the Mueller Investigation Actually End by September?